Create a unique wreath for the holidays using bulb ornaments! Several years ago I made an ornament wreath by stringing ornaments onto a wire hanger bent into a circle. I liked it but I didn't love it. 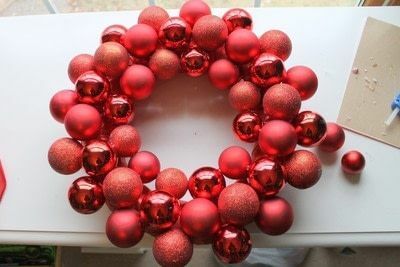 The ornaments were always popping off and it just seemed like a jumbled mess most of the time so I decided to try something new. 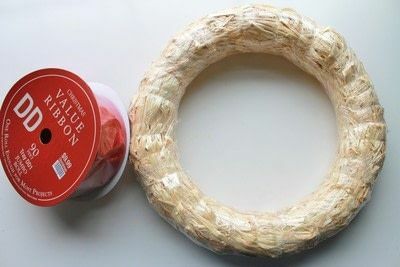 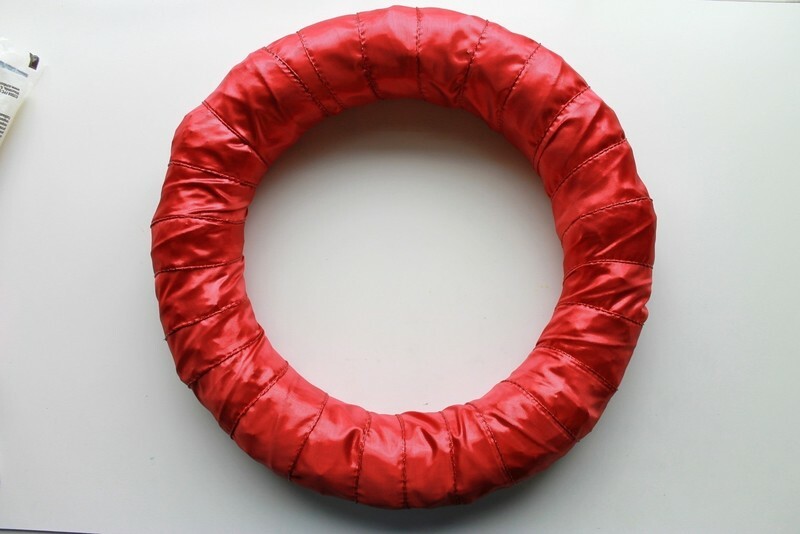 This new method worked perfectly and created a beautiful long lasting wreath. 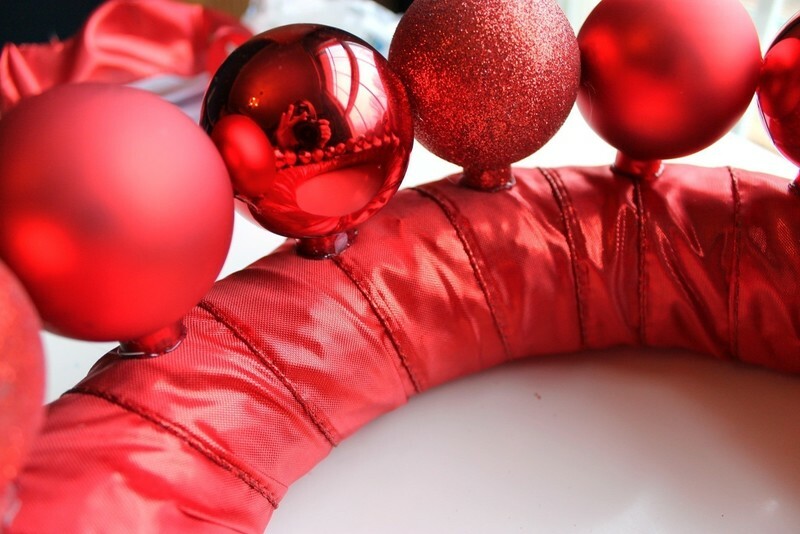 Wrap ribbon around the wreath to cover it. Take the silver tops off the ornaments and begin gluing them around the wreath with your hot glue gun. 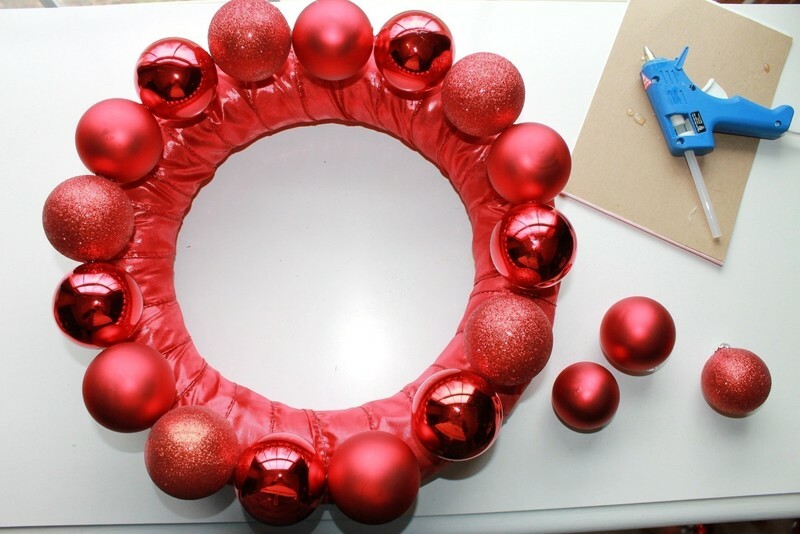 Glue the tops facing down and put a dab of glue between the ornaments where they touch to make the wreath sturdier. After making your way around the wreath once add another layer of ornaments in front and behind the original one. Fill in the bare spots with smaller ornaments. 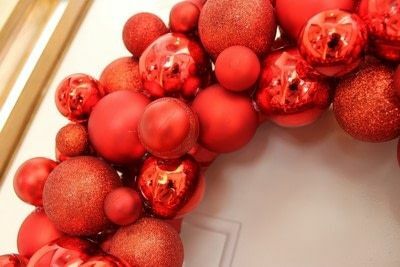 I used four different sizes of ornaments total. 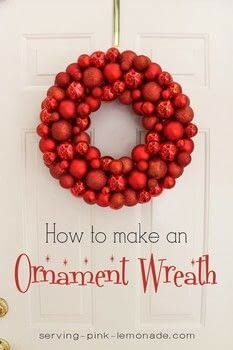 I just love the pop of color this wreath adds to our front door.